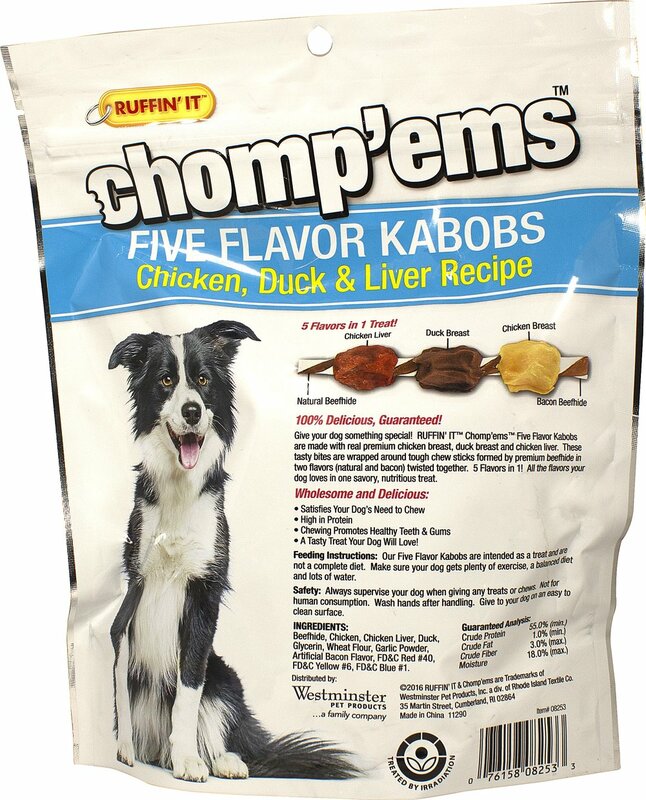 Give your dog something special! 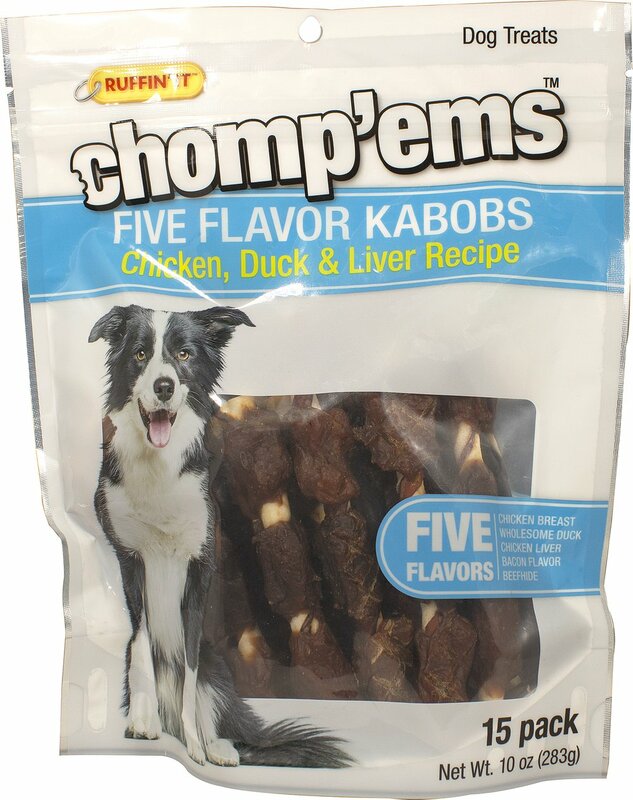 Ruffin' It™ Chomp'ems™ Five Flavor Kabobs are made with real premium chicken breast, duck breast and chicken liver. 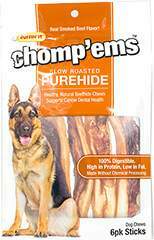 These tasty bites are wrapped around tough chew sticks formed by premium beefhide in two flavors (natural and bacon) twisted together. 5 flavors in 1! 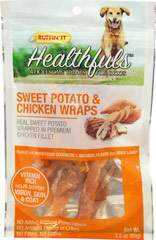 All the flavors your dog loves in one savory, nutritious treat.